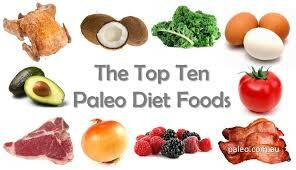 The popularity of Paleo, often referred to as the “caveman” diet, is gaining in popularity. It is also referred to as the Stone Age diet or hunter-gatherer diet, and the theory behind it is that your nutritional intake should be based on consuming plants and wild animals, just like what cavemen are presumed to have eaten during the Paleolithic Period. Based on several clinical trials, Paleo diet is shown as effective in lowering the risk of obesity, heart disease and diabetes. The American Dietetic Association also agrees that Paleo diet has a lot of great aspects; however, some people can’t sustain this type of nutrition due to lack of variety, cost, and nutrient inadequacies. Lose weight – Paleo diet helps your body to lose weight naturally since the stored fat in your body is being converted into energy. 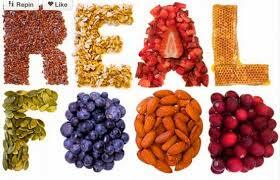 With Paleo diet, you are consuming foods that have a high-nutrient density without the bad calories. You also tend to lose food sensitivities and you feel more satiated because of all the healthy fats you’re consuming. Increase energy levels – Several studies show that following this diet will increase your energy since you’re eating foods that are low in carbohydrates but high in fat, which provide more sustained and lasting energy. 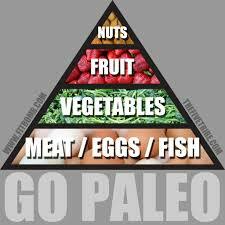 Sharpen the mind – By following the Paleo diet, you are getting a well balanced meal from natural sources. It gives you more energy without having to resort to caffeinated beverages or energy drinks. It also allows you to eat until you feel full, or eat whenever you’re hungry, so you don’t risk running low on energy when you need it. Detox your system – Paleo helps you detoxify your body, so you lose the unwanted substances in your food like MSG, gluten, refined sugar and caffeine. Ingesting more antioxidants, phytonutrients and fiber from the fruit and vegetables you’ll be eating will help your body to purge out toxins. Helps you sleep better – by cutting out the chemicals and additives in your diet, you tend to sleep better. This is because of the serotonin in the brain, which releases the signal that it’s time to sleep, is not overridden by these chemicals. Reduce your risk of diseases – this diet allows you to eat more anti-inflammatory foods and less foods that causes inflammation. You’re also eating more foods that have antioxidants and phytonutrients, which are known to ward off diseases such as cancers and heart ailments. 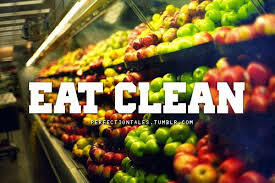 Naturally avoiding fast food and junk foods also help in improving your overall nutrition. David Novak’s byline has appeared in newspapers and magazines around the world. He’s an avid health enthusiast, and frequently is featured in regional and national health publications. He is also a weekly writer for Healthline. To visit his other stories on Healthline, visithttp://www.healthline.com/.